← There’s no better way to spend the day! 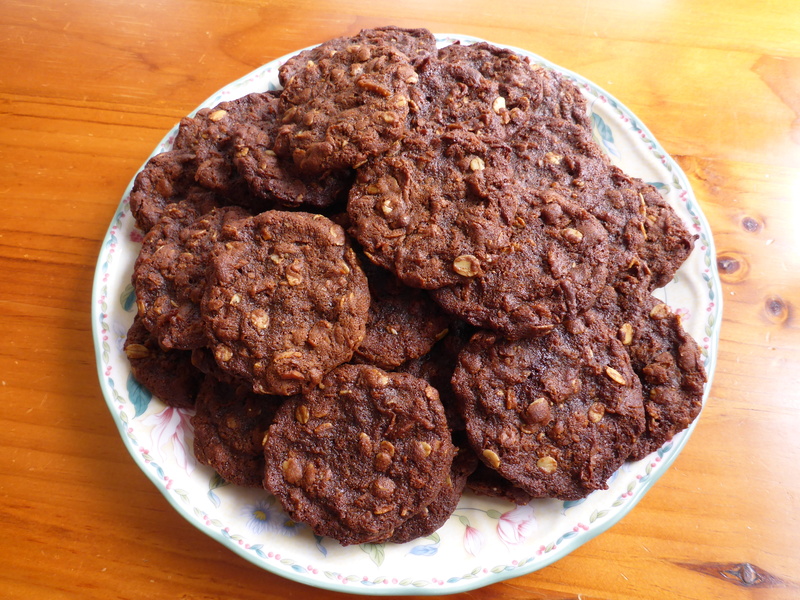 In a large bowl mix together the oats, coconut, flour, sugar and cocoa. Set aside. In a medium sized saucepan melt the butter and the golden syrup and stir to combine. Then in a small bowl mix the baking soda with the boiling water and then add to the melted butter and golden syrup mixture. Mix through and be careful as the mixture foams up quite a bit. Once this is all mixed through add to the dry ingredients and stir until well combined. 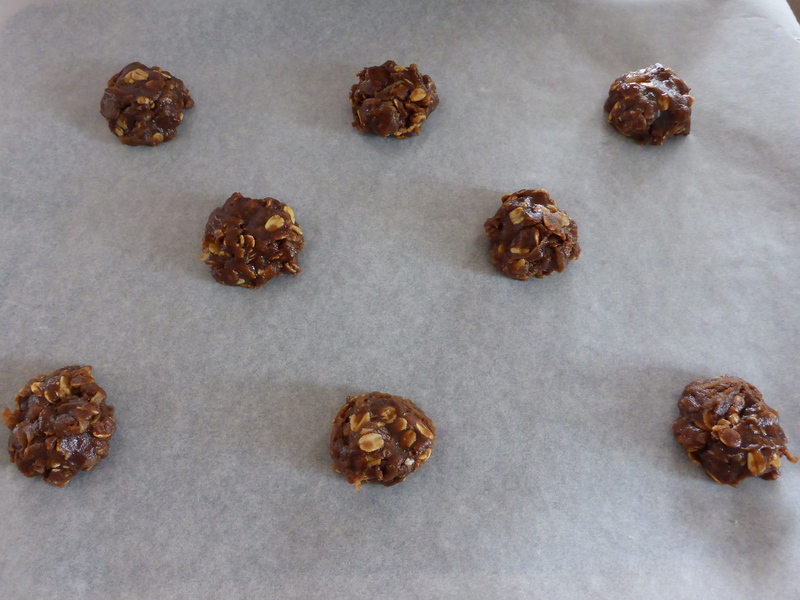 Line a baking tray with baking paper and roll mixture into balls. Place on trays, flatten slightly and bake in a preheated oven for 10 – 15 minutes. Cool on a wire rack and enjoy with a cup of tea. Hints: The butter and golden syrup can be melted in the microwave being careful to cover the bowel with paper towel and heating in short 30 second bursts on 70% power until melted. I always do a couple of test biscuits first as sometimes you may need to add a little bit more flour to the mixture in order to get a crispy texture. Be careful not to add too much (I usually only need about 1 tablespoon extra). If you wish to bake two trays at a time swap the trays around (swap trays from upper rack to lower rack and vice versa) half way through cooking so they cook evenly. This entry was posted in Home, Recipes, Sweet. Bookmark the permalink.